For us, Christmas is a wonderful time of year, when family and friends gather to exchange gifts, feast on delicious food and drink, laugh and play games. Christmas from the point of view of your pets is a different story. 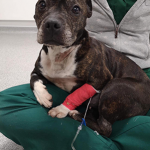 The changes made to their homes and routine will not make sense, and so their best interests need to be considered and did you know that Christmas can be hazardous for your pets? Make sure your pet is kept safe, entertained and their routine kept as normal as possible this Christmas. However normal we think bringing a tree inside and making it a decoration for Christmas is, our animal friends will see it as just a tree, a giant play toy in their own space. Decorate it with glass baubles, electric wiring and tinsel makes it a disaster waiting to happen! Christmas trees are toxic to pets – most fir trees don’t have very high toxicity, but can produce oils that cause vomiting, excessive drooling and diarrhoea if consumed. Pine needles can also damage your pet’s intestines or can get stuck in paws, leading to irritation. Make sure you keep your floors clear of pine needles as best as you can, and keep your tree watered to prevent it from shedding. If you have a cat or kitten who loves to explore, you may find that their attraction to the Christmas tree could cause a toppling tree disaster. If you are concerned that this could be the story of your mischievous cat, you could try tying the top of the tree to something secure to keep it stable. To cats, Christmas decorations look like a lot of fun to play with, glistening and dangling with temptation. To dogs, baubles look like tennis balls and tinsel looks strangely similar to a sparkly tug toy. Be aware that fairy light wires maybe chewed, baubles can be batted or knocked off trees and tinsel might be ingested. Whilst these aren’t toxic, the dangers of shattered glass, electrocution, strangulation and intestinal blockages are all very real, so be mindful when decorating for Christmas of what festive decorations could be dangerous for pets to be left unattended with, and try and hide wires and extension sockets away from pets as best as you can. 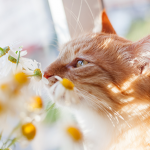 Keep these festive plants away from curious pets as they are mildly toxic and are likely to cause vomiting and other problems. For example, mistletoe can cause a sudden drop in blood pressure and breathing problems. If you think your pet has come into contact or ingested any of these plants please bring your pet into The Vet immediately for examination. Don’t forget – no appointment is needed and we are open every day except Christmas Day. You may not think that having a box of chocolates wrapped up under the tree is a potential health hazard to your pet; although humans can’t tell what’s hiding beneath the pretty wrapping, your pet’s nose is highly sensitive and can sniff out every crumb. If your pet does eat chocolate it will likely lead to diarrhoea and an emergency trip to the vets, so make sure that any edible presents are hidden away out of reach. Guests may not be used to pets and therefore don’t necessarily know about the do’s and don’ts of feeding them and playing with them. Try explaining to your guests the rules concerning your animal. It’s your pet’s home remember – not your guest’s – so try and accommodate them first before you decide to lock them out of harm’s way. We recommend you create a den or calm quiet room where your dog or cat can retreat to, if all the festivities become too much for them. Your pets don’t know what will hurt them, when they smell something yummy, they will always dive in head first, so please be aware of the following things to look out especially at Christmas time. Chocolate, mince pies, nuts, onions, blue cheese and fruit cake can all be very toxic to your dog, so when you are grazing through your spread of Christmas goodies, make sure your pets aren’t sat under the table gobbling up any dropped morsels or being fed by friends or family members. Giving a dog a bone may seem normal, however turkey bones can splinter and cause choking or constipation or could even damage your dog’s intestines. Meanwhile fat trimmings can cause pancreatitis, so avoid “treating” your dog with leftovers. 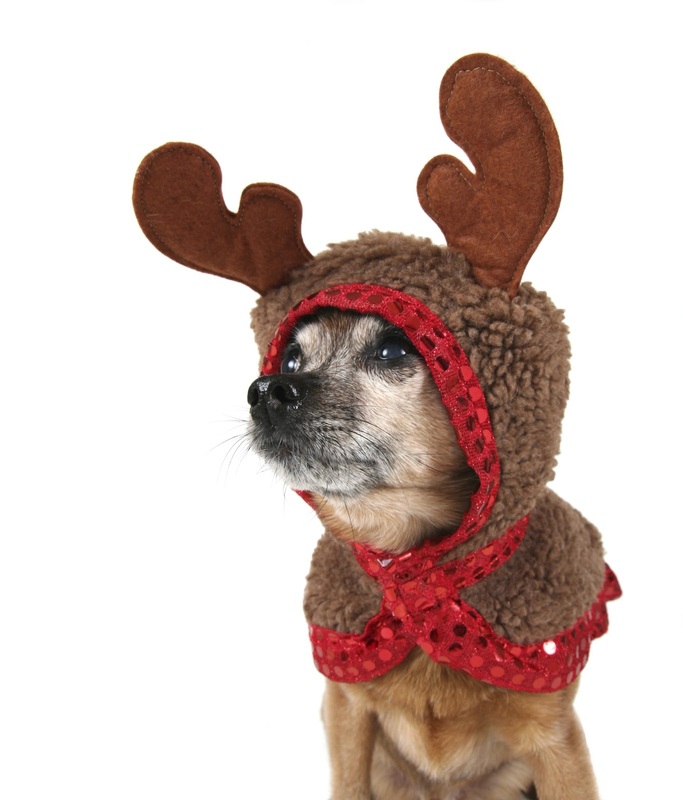 Find out more about foods your dog should avoid this Christmas here. 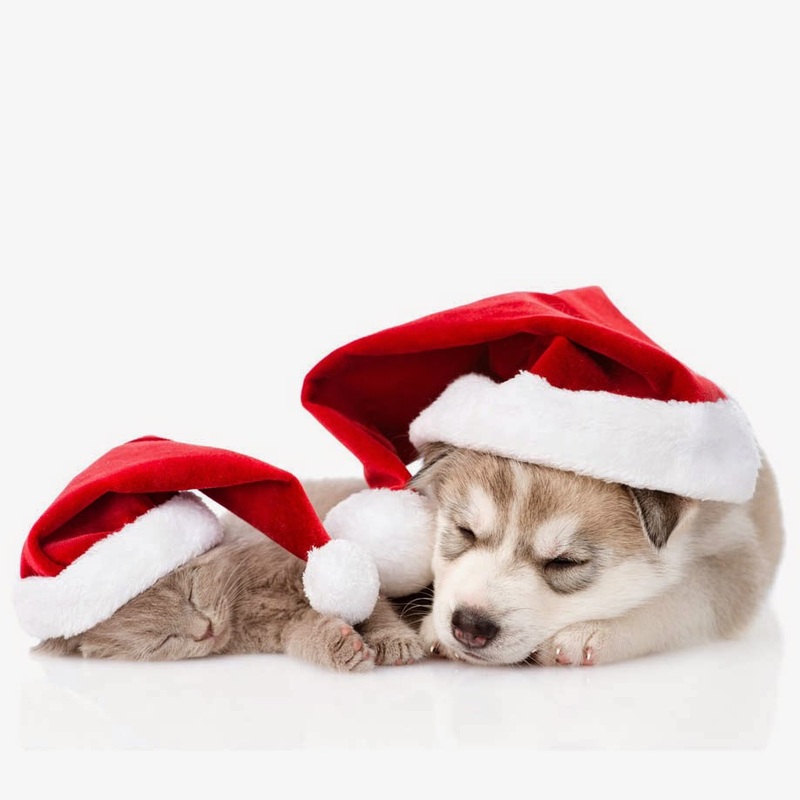 Christmas is an exciting time, but please make sure the excitement doesn’t interfere with your pet’s well-being. Make sure your pet’s feeding routine doesn’t change too much and remember to keep an eye on your furry friend throughout the season to make sure they don’t get themselves into trouble. To keep your pet entertained, why not plan a nice wintery dog-walk on Christmas day? It’s a nice idea to also treat your pet with a new toy to keep them occupied during the day (when you may be too busy to play). 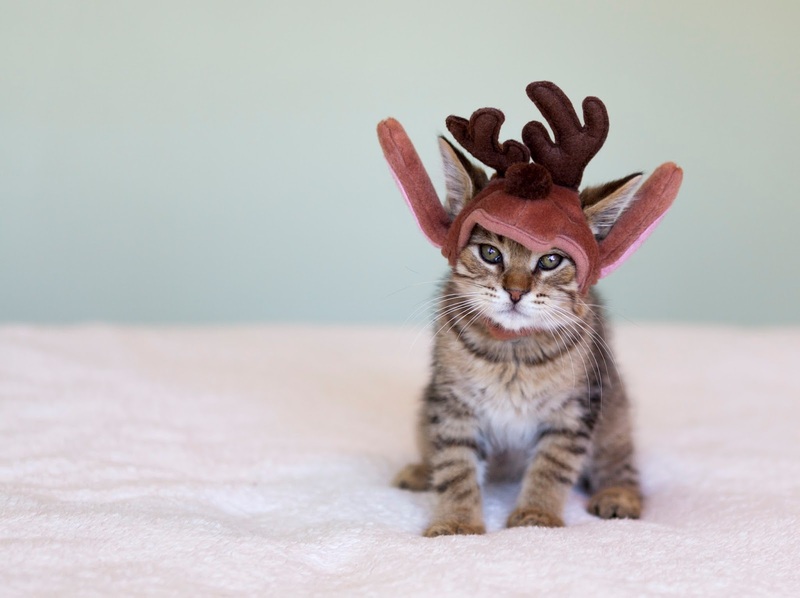 If you are ever concerned that your pet has got themselves into a spot of mischief, our clinics are open for you to pop in during our consultation times throughout the Christmas season – no appointment is needed. We are only closed for Christmas Day, during which our services will be covered by our Out of Hours providers, should you have an emergency. If you have any further questions or require more information, please contact your local clinic.